Tensil Strength of Carbon Fiber, (example: CF T700S (epoxy composite) is 2550 Mpa, almost twice stronger than Steel (alloy AISI5130) 1275Mpa and Aluminum (7075-T6) 570Mpa Carbon is almost 4.5 times stronger! Can be used for DIY Frames or as replacement parts. Shipping limitations (due of some shippers can not ship 1mtr., long packages, we propose to cut the tubes, if it is possible for you! Please advise us (+-) the size how you want them to cut. Example: 50/50cm, 40/60cm, etc.. Recommended For DIY Frames, Landing Gear Systems, Motor Arms, etc..
Top Quality Carbon Fiber Tube 3K Plain Weave with Matte FinishHigh Stength, Light weight, Abration /..
Metal Tube clamps are Superior than plastic boom clamps and have secure grip. 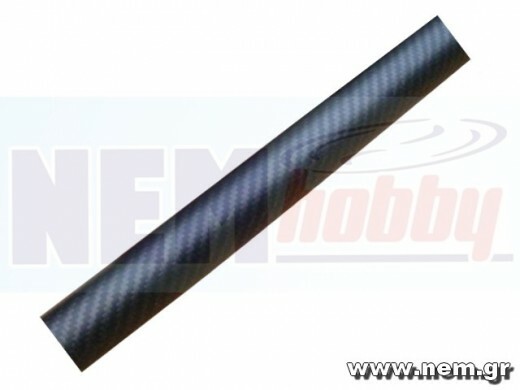 Made by Aluminum All..
Top Quality Carbon Fiber Tube 3K Plain Weave with Glossy FinishHigh Stength, Light weight, Abration ..
Top Quality Carbon Fiber Plate 3K Plain Twill Matte Finish100% Carbon Fiber from the first to the la..